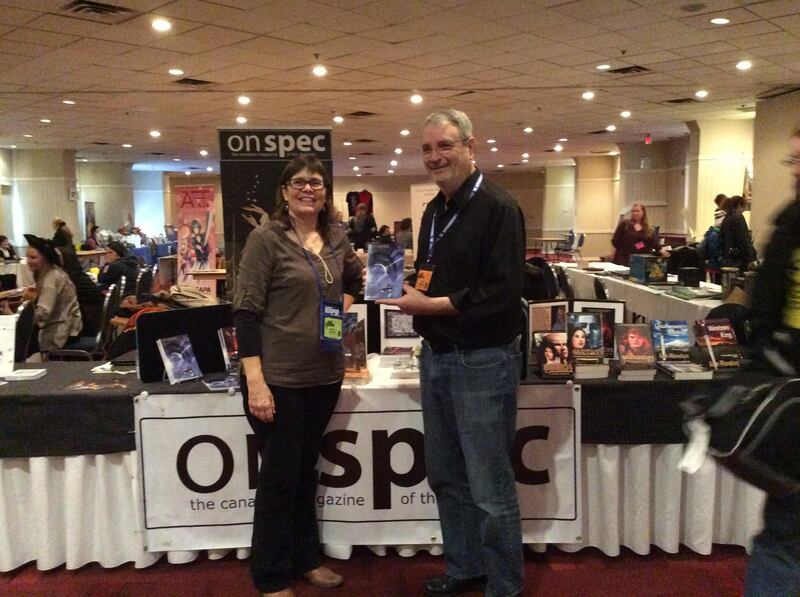 Author GoH David Gerrold took time out from his Pure Spec duties to visit with Diane at the On Spec booth. time with Author Guest of Honour David Gerrold, who took time out of his tireless panel schedule to stop by the booth to say hello. We’ll have other Pure Spec highlights soon, but we thought we’d post some tidbits for you now. 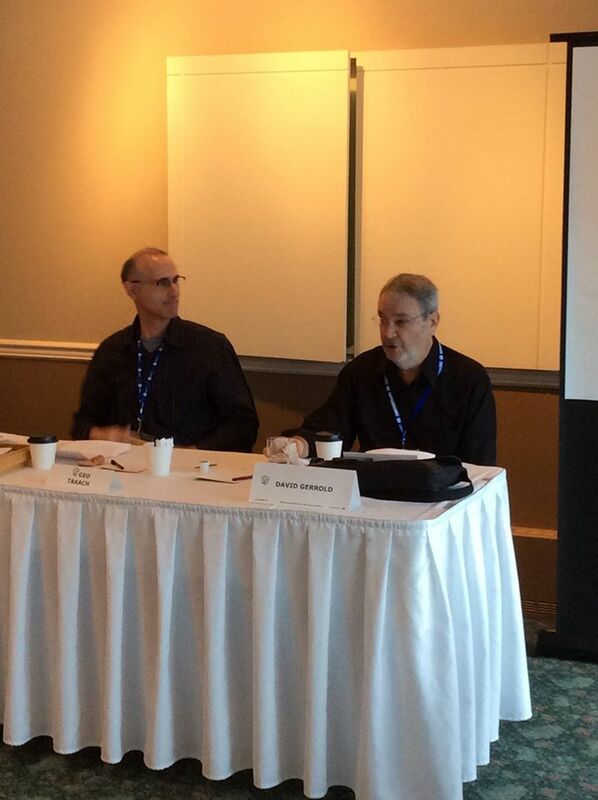 Geo Takach and David talk screenwriting at the Pure Spec Festival. 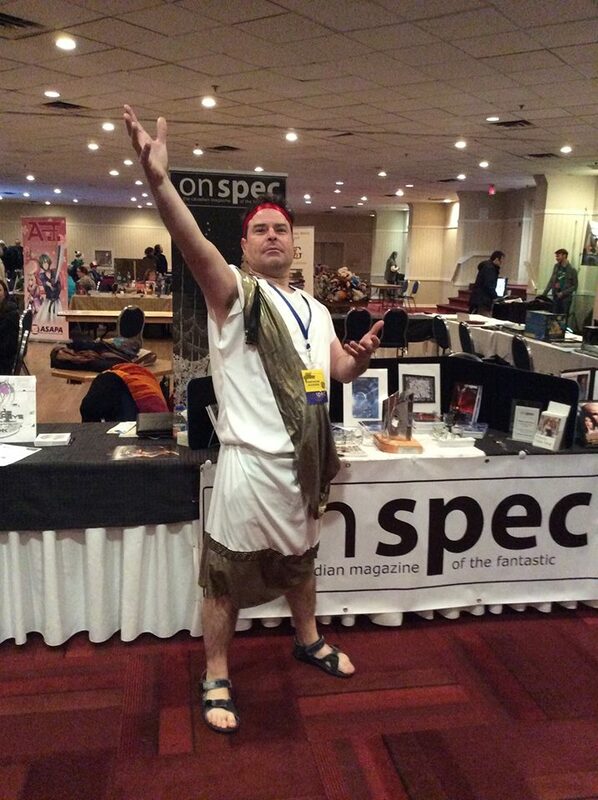 Our Constantine at Pure Spec getting ready for his Mythology panels. 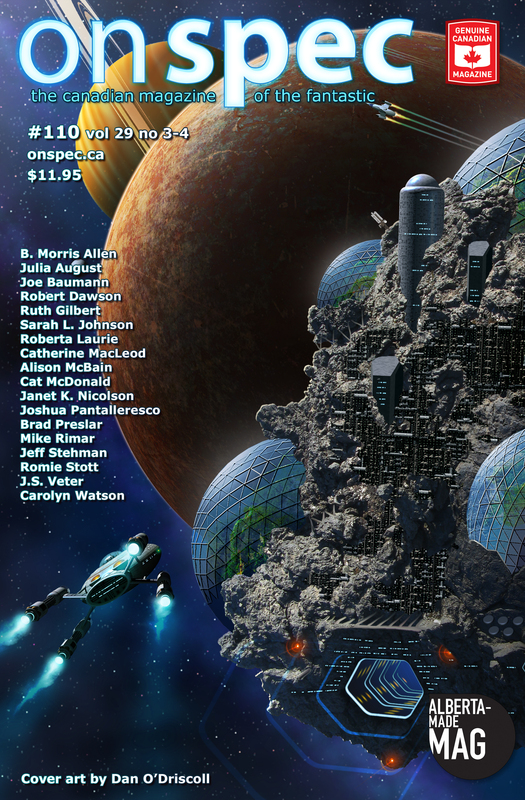 Previous PostOn Spec Can-Con ReadingsNext PostCongratulations to Tyler Keevil, winner of 2014 Journey Prize!